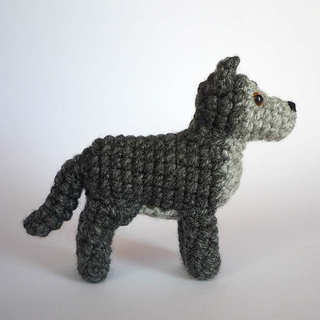 I designed this wolf to fit to the Medieval Fantasy dolls both in style and size (though it’s meant to be a direwolf, larger than regular grey wolves). 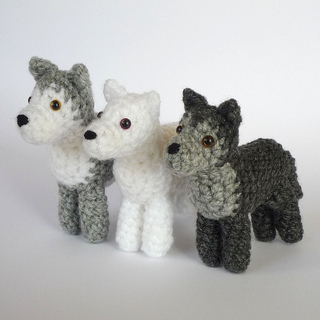 But of course it is a cute wolf on its own too - or could even become a husky, if made from white & grey with blue eyes. Yarn weight is not important as long as you choose your hook size accordingly. 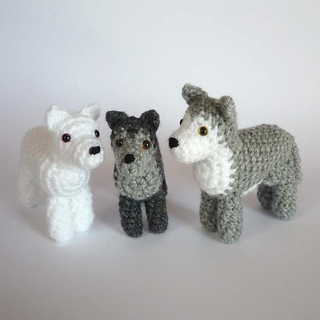 From DK yarn with 2,5-3 mm hooks, my wolves are 8-9 cm tall from ground to ear tip. The pattern is 8 pages long. 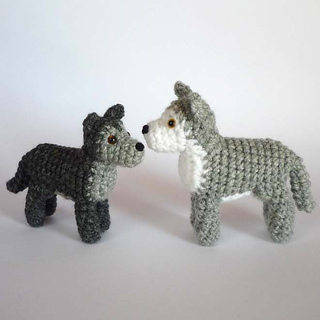 It is written in English using US crochet terms, with instructions for both solid color and bicolor wolves. 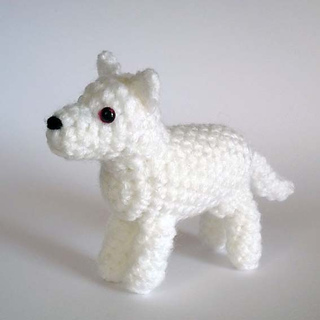 Stitches/techniques used: start with magic ring, chain, slip stitch, single crochet, half double crochet, double crochet, work in back loop only, work in front loop only, single crochet decrease. 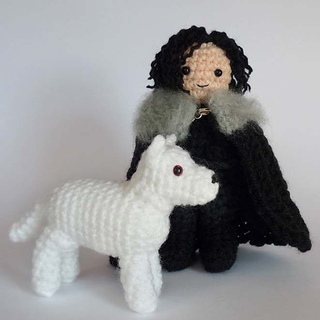 While the pattern contains no tutorials for the stitches listed above, I included detailed instructions (illustrated by many pictures) about how to make the color changes. Finished items made from this pattern are yours to do whatever you want with them, I only ask you to give me credit as designer in case you sell them.